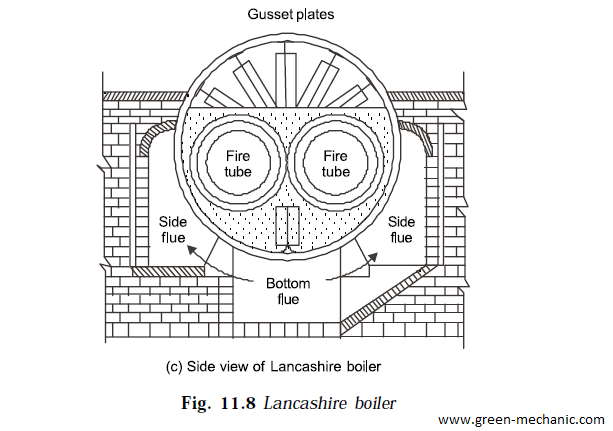 LANCASHIRE BOILER is a simple horizontal boiler and belong from the shell and tube types of boilers. It has a circular shell connected to end plates supported by gusset plates. It has a circular shell connected to end plates supported by gusset plates. 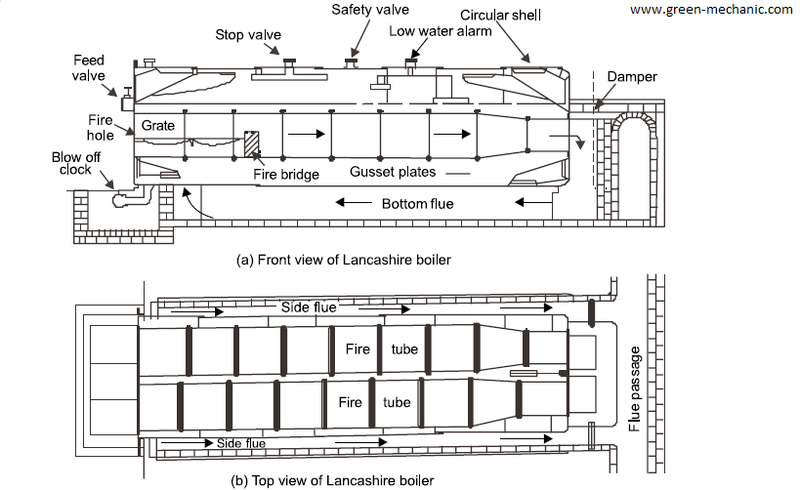 Lancashire boiler have two fire tubes whose length is equal to length of the boiler and diameter of the fire tube is less than half of the diameter of the shell. For the removal of mud and sediments and blow off clock is provided at the bottom of front section of boiler.